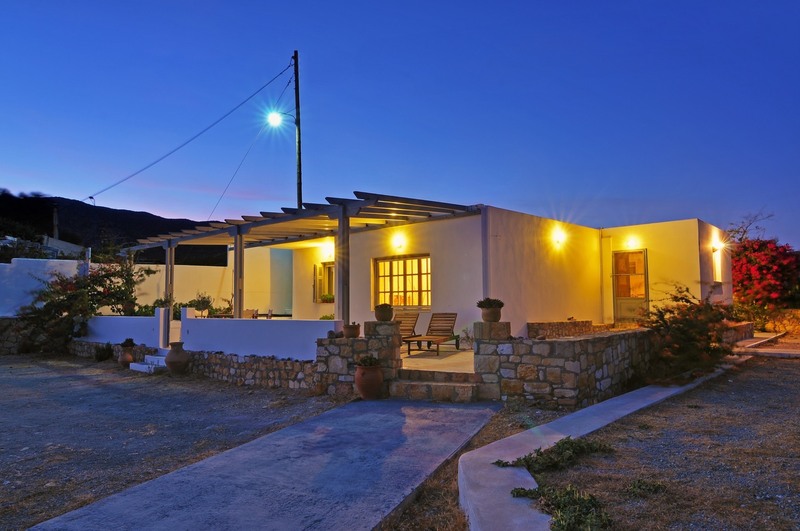 There is no other property on the island of Milos with this combination of proximity to the beach(es), proximity to restaurants (within close walking distance), privacy (no other homes nearby; no traffic thoroughfare), and southern exposure (shielded from the prevailing northern winds). 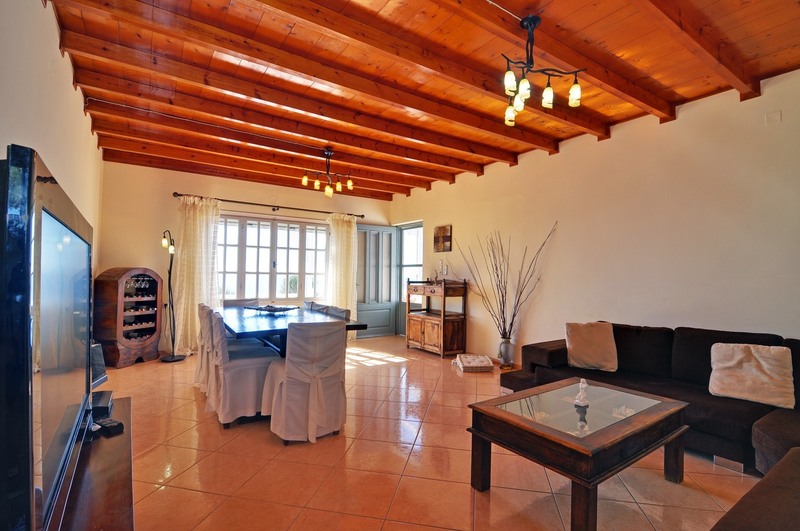 Villa Marina is a spacious 2-bedroom, 2-bath villa for rent with incredible, unobstructed, elevated sea views of the bay of Provatas. 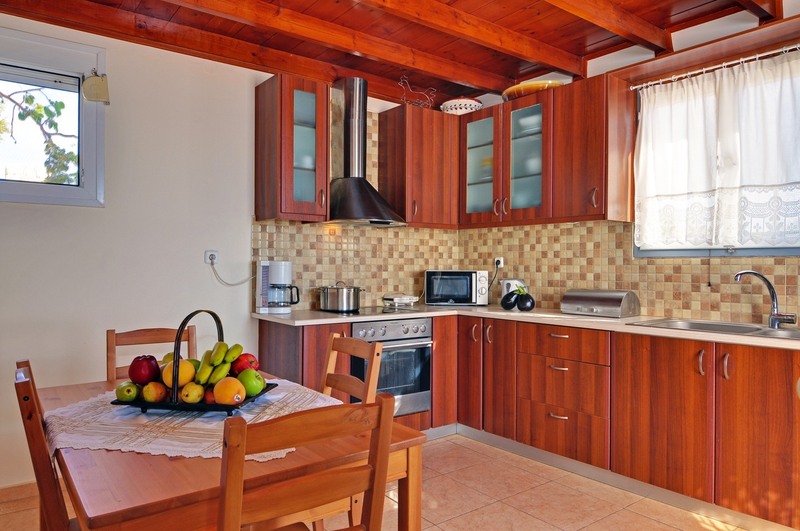 The property is perfect for summer vacation for a 4-6 person family or group of friends. 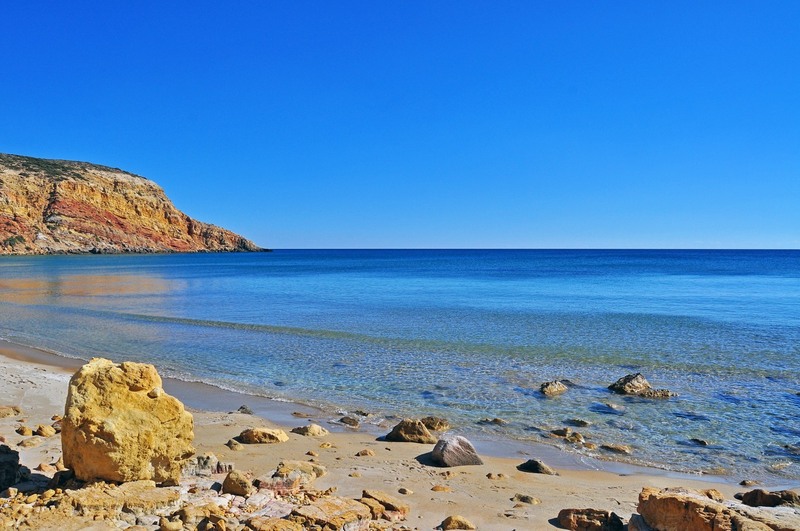 It is located in Agios Sostis, bay of Provatas, on the south coast of Milos, 9.5 km. from the seaport of Adamas, within walking distance to the 5 beaches of the bay of Provatas, including a stone’s throw from two out of the three Agios Sostis beaches, and right next to Tarantela, one of the nicest restaurants in Milos. 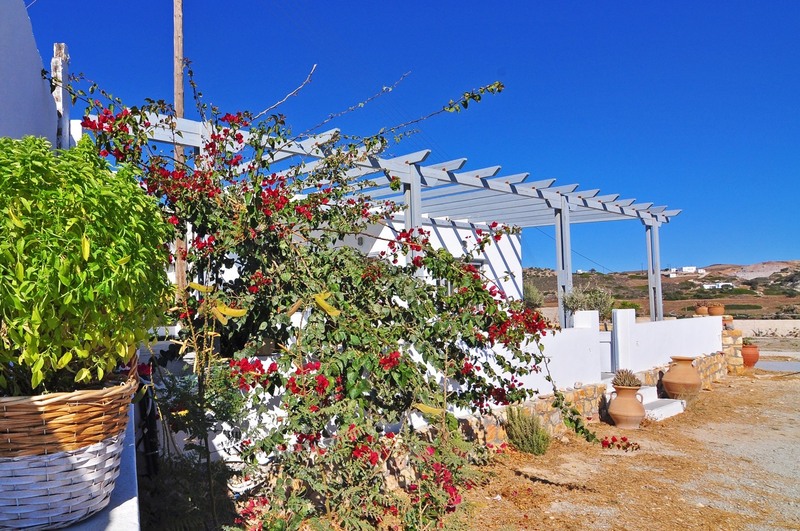 Villa Marina is also the only property in the area that includes a washing machine, tumble dryer, and a dishwasher on the premises. 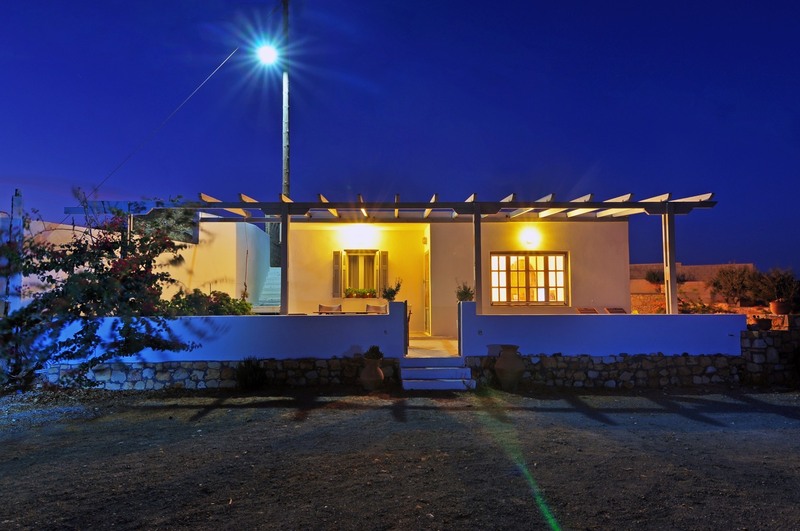 Villa Marina is at a privileged location in Agios Sostis, an area within the bay of Provatas, on the south coast of Milos. It is located about 10 km. (6 miles) from the seaport of Adamas, and 5 km. from Milos Airport. Provatas is a sparcely-populated historic location with a 4-star beachfront hotel, a few rooms or apartments for rent, and 5 restaurants, 4 of them at the beachfront. Its southern exposure means it is not susceptible to the prevailing northern winds of the Aegean, helping visitors enjoy the multitude of beaches in the bay. On the westernmost tip of Provatas, in an area called Akrotiri (Cape), there are the remnants of a WWII Wehrmacht radar system, a Würtzburg-Riese Model D. Tarantela restaurant also has on display a WWII-era german telephone system, that was used by the Wehrmacht radar garrison. Villa Marina is practically on the beach. It sits at an elevation of about 10 meters from two out of the three Agios Sostis beaches. It takes 1-2 minutes from the terrace of Villa Marina to reach either beach using the down steps. All beaches in the bay of Provatas are rather shallow, with fine, golden sand and crystal-clear waters. 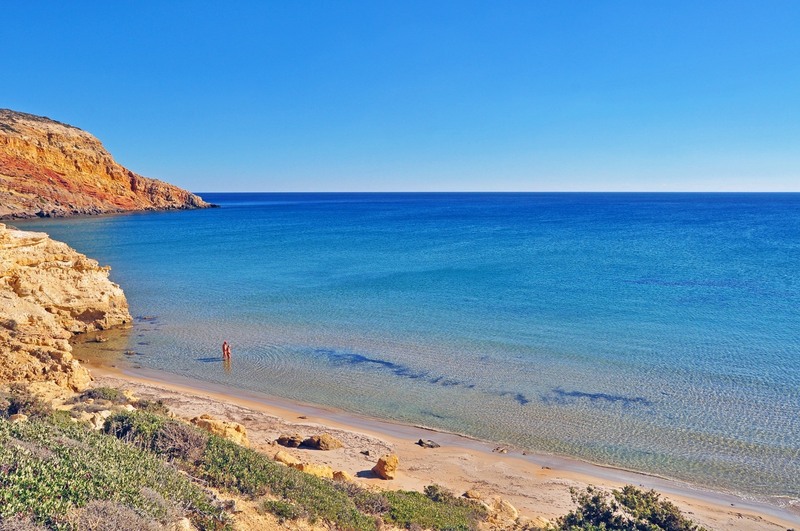 The easternmost beach is the main beach of Provatas, with a smaller beach right next to it, while the Agios Sostis area includes 3-4 more beaches. There is no thoroughfare anywhere near Villa Marina, so your privacy is assured. There is just a narrow, dirt path several meters in front of the property, used by pedestrians to get to/from the various beaches and the seaside restaurants of Provatas. You may view a map of the location of Villa Marina, peruse photos of the property in our photo gallery, get in touch with us using the contact form, and inquire about rates or send us a reservation request using the reservations form. 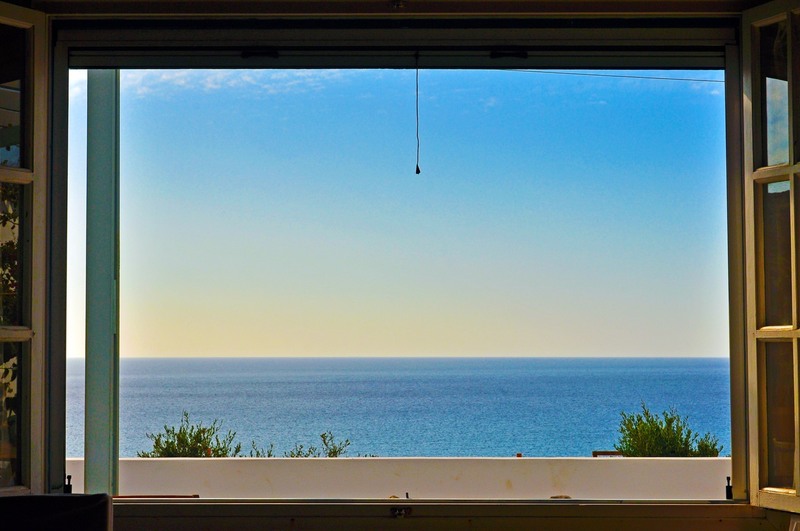 You may also visit our Links page for useful links such as Rentals in Milos, Milos Ferries, and Weather in Milos. 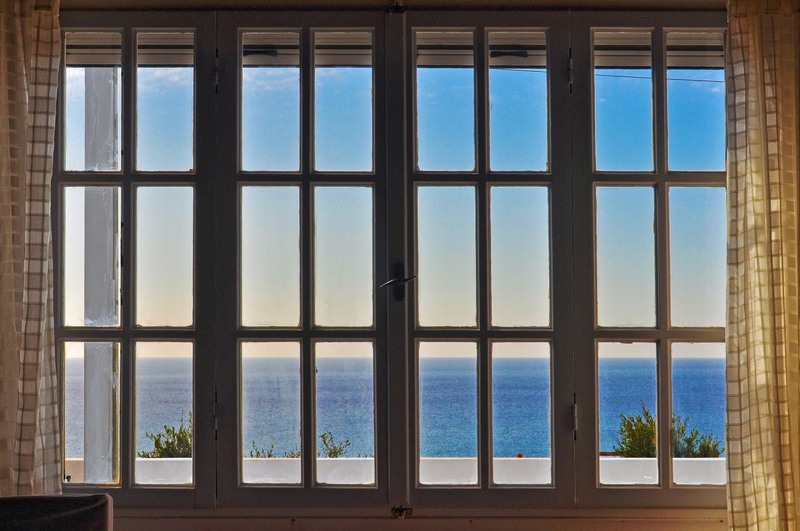 Villa Marina is named in honor of Marina Ninou, the wife of the proprietor, Sarantos Soulis. 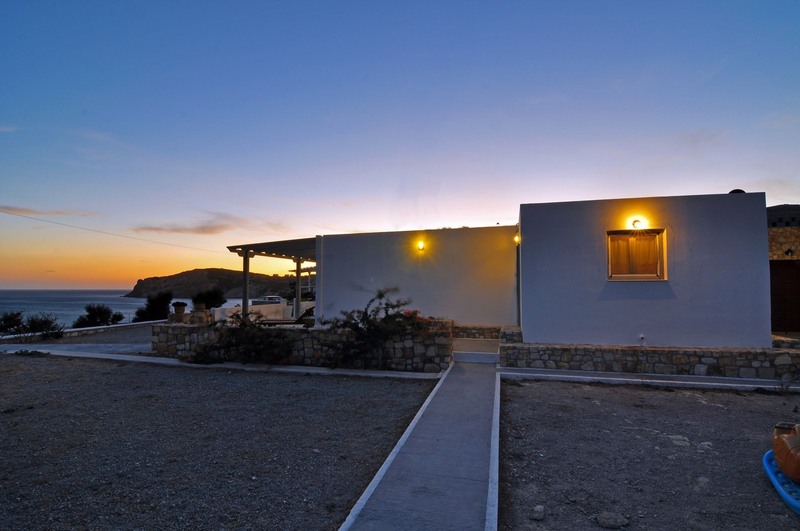 The proprietors also own and operate nearby Tarantela, one of the best restaurants in Milos. 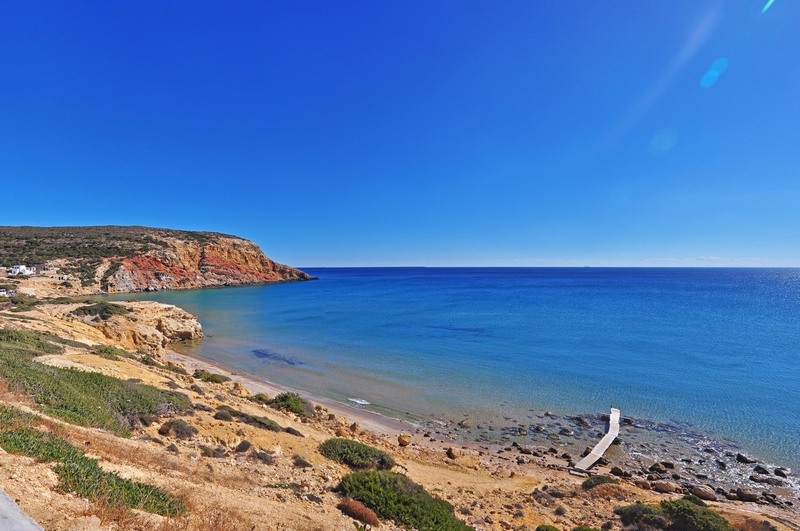 Provatas is a name derived from the greek word for "sheep", as this location has traditionally been used by locals shepherding their flocks of sheep, before it developed into one of Milos' premier vacation destinations. Agios Sostis (St. Savior) is an area of Provatas, that owes its name to the small church and monastery by the same name. 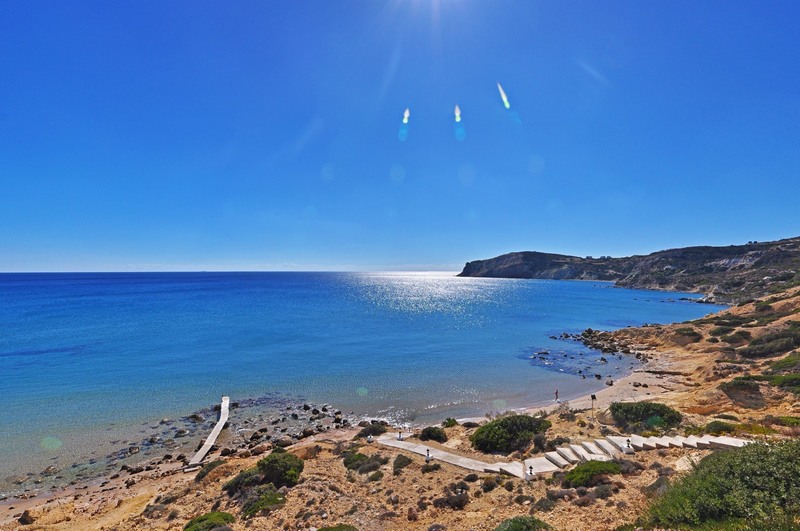 Agios Sostis includes 3 beaches, all accessible within walking distance from Villa Marina, 2 of which at a stone's throw from the property. Villa Marina is also listed on Facebook and AirBnB.